Did you enjoy enjoy the Trobadour Reunion Tour with Carole King and James Taylor?Did you feel something like going back in time? Which are the current projects you’re involved in? Are you doing any recordings this period? I’m mostly working on my own music and making recordings of my tunes that have been covered by James Taylor, Jackson Browne, Don Henley and others. You played in Ringo Starr’s ‘Ringo The 4th’ album. Did you feel a bit surreal playing with Ringo? How was Ringo as a person? It didn’t feel surreal playing with Ringo…it felt great! He is the nicest guy you could imagine and I thoroughly enjoyed playing music with him. How you first came in contact with Don Henley to co-produce ‘I Can’t Stand Still’? Do you think you should have received more recognition for your contribution in Don’s solo career from fans and press? Do you happy memories from Neil Young’s ‘Landing On Water’ recordings you co-produced? Do you like today that album? I absolutely have very fond memories of making «Landing on Water» with Neil..he is a total inspiration to everyone he plays music with…and yes,I love that album. Were you surprised when you got the offer to co-produce Jon Bon Jovi’s ‘Blaze of Glory’ (his first solo album)? I was surprised to get called by Jon for that album…it turned out to be a great experience and we had all great musicians on that record…it was a ball! Do you think Steve Jordan (drummer,Keith Richards,John Mayer Trio) is the person with whom you have the most ‘spiritual’ music partnership? Steve and I have great rapport and I do consider us to spiritually connected…there is no finer musician! there’s many great people I would love to play with…too many to mention! What fact about you (musically or not) would surprise fans? Don’t know if there’s anything surprising about me…except that I’m shockingly good looking! Have your ever been in Greece?Send a message to Greek fans. I would love to visit Greece and make some new friends! 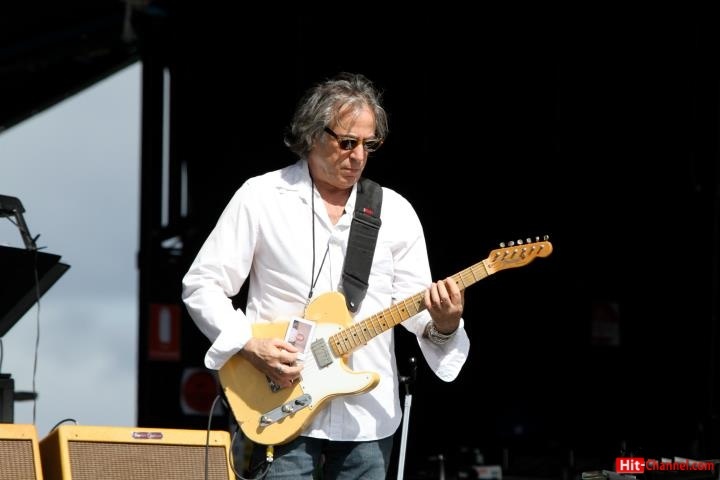 A big “THANK YOU” to Mr Danny Kortchmar.